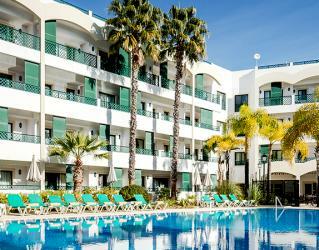 The hotel boasts two types of apartments; one-bedroom and two-bedroom apartments, each with air conditioning, LCD TV, telephones, safety deposit box, internet connection point, free WI-FI, en-suite bathroom, kitchenette or kitchen, iron and ironing board, hairdryer and spacious furnished balconies. 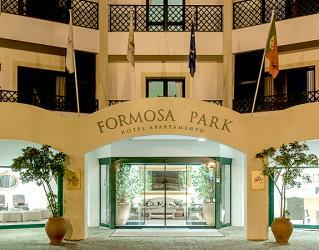 Guests at the four-star Formosa Park Apartment Hotel receive exclusive access to two of the Algarve’s most famous and acclaimed golf courses: San Lorenzo and Pinheiros Altos. Formosa Park has a range of great residential offers, designed to deliver great golf, luxury accommodation and the perfect break. 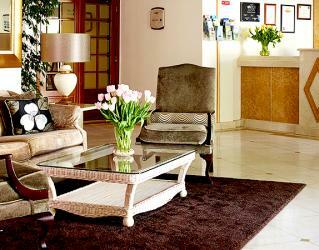 The restaurant is an ideal place to have light dinner, or after a long day, have a conversation with your friends. 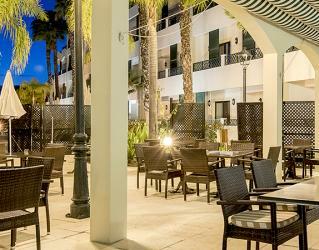 Arcos Restaurant and Bar is the main restaurant where buffet-style breakfast and a’ la carte lunch, dinner served. 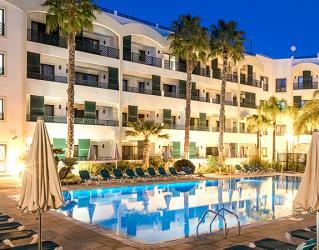 Here you have an excellent opportunity to try a selection of local and international dishes. As well as two of the golf courses in Portugal, there is also the possibility to play tennis on one of the three all-weather floodlit tennis courts here. Besides, Ancão Beach, protected by UNESCO and home to a variety of migrating birds is a must-visit place while staying here. You can also visit the unrivalled natural beauty; Ria Formosa Nature Reserve, formed by an oceanic earthquake, will be unforgettable. 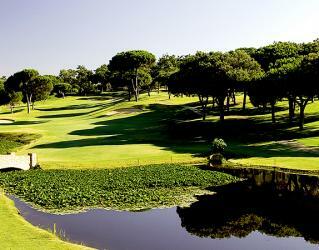 Designed by American golf course architect, Joseph Lee and opened in 1988, San Lorenzo occupies an exclusive and charismatic location within the prestigious Quinta do Lago Resort and Ria Formosa Nature Reserve. The course is rated among the top ten in Europe and consistently maintained to a high standard: if you can include it on your list, it should be a must to play when visiting this southern region of Portugal. The Golf Course lingers long in the memory of all who play it – a combination of natural beauty, pristine presentation and hole after hole of challenging golf. Measuring 5,837 meters from the regular tees, the course was designed by American golf architect Joseph Lee and opened in 1988. 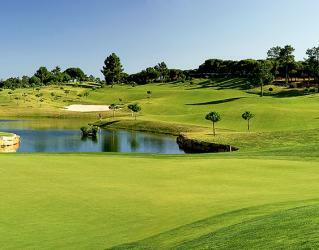 It is considered one of the best courses in Europe and ranked in the top one hundred golf courses worldwide. 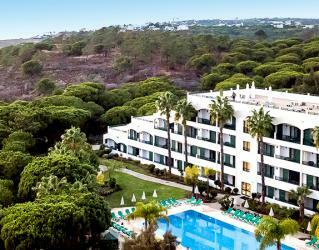 While much of the course meanders through typical Algarvian pinewoods, it also opens to stunning ocean vistas and distant mountain backdrops. 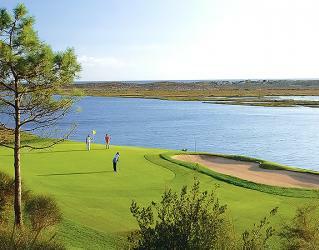 A good part of the course is virtually an extension of the nature reserve of Ria Formosa Estuary with fairways that run alongside saltwater marshes and freshwater lagoons. This protected environment is the habitat of over 70 bird species, including herons, hoopoes, white storks, coots, black-winged stilts and the rare purple gallinule. 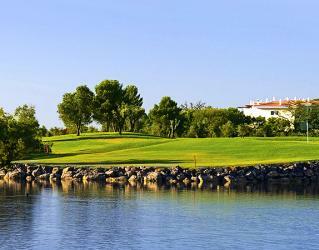 The Clubhouse offers pro-shop, lounge, bar and restaurant. 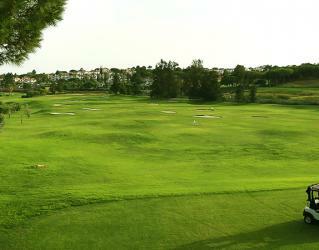 A large terrace overlooks the driving range with the fairways of the first and tenth holes on either side. Instruction is available and a separate practice area is reserved for visiting professionals and their classes. 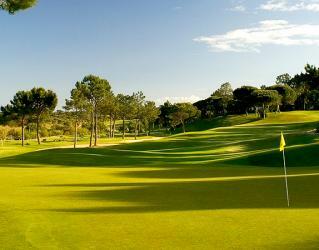 Pinheiros Altos is established as one of the most prestigious and successful premier golf course in Europe. 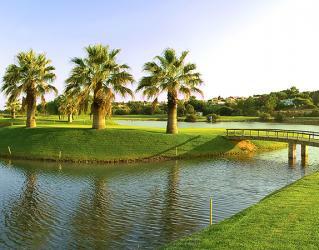 The original 18 holes were designed by the respected American architect Ronald Fream and the additional 9 holes, created by the highly regarded Portuguese golf architect George Santana da Silva, opened in 2007. 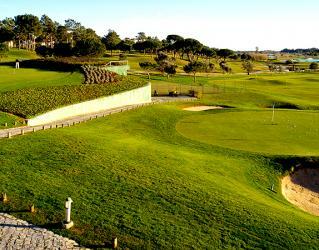 All nine holes have their starting and finishing points in close proximity to the beautiful Pinheiros Altos Clubhouse. Each hole has four starting tees: The white and yellow tees represent the championship and medal tees respectively for the men, the red and blue tees for the ladies. 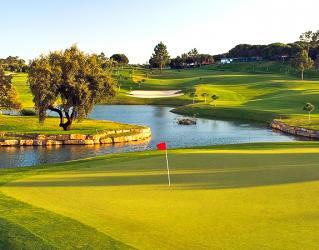 The firm, fast and testing greens, sown with Pentcross Bent and combined with the Bermuda fairway grass, provide resilient and excellent surfaces on which to play golf and make Pinheiros Altos a must play course when visiting the Algarve.The 27 championship holes at the Pinheiros Altos Resort are presented in three nine holes formats.